Christmas is a busy time for most people. Many people have visitors who may not be pet owners. Visitors don't know your pet,s personality and habits. Some planning can help keep your pet safe and healthy and friendships intact. The combination of being busy and all the excitement of the festive season can lead to not thinking ahead of possible problems for your pet over this period. Perhaps you will have a houseful on Christmas Day. Some of your visitors may not be pet owners or they may have pets but not be up to date with foods they shouldn't be fed. Guests may drink too much and not be thinking straight or have a warped sense of humour and decide to see what happens if they give Fido some alcohol. 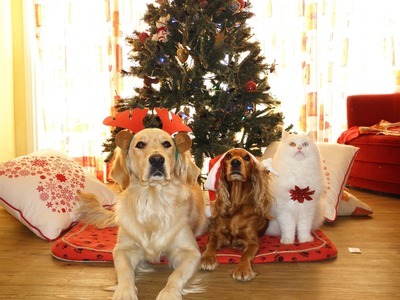 Although you may think it nice to include your pets in Christmas festivities, after all they are part of the family, it may be safer to separate them from all the merry making. Children who don't know how to treat pets may mistreat them by pulling their ears or tail. Not only is this unpleasant for the pet concerned but if your dog retaliates with a bite you may find yourself being asked to get your dog put down. Remember children are often hyped up at Christmas so they may act unpredictably, just as your pet may. Young children may crawl around after your dog who is retreating. Cornered under the table, your dog may snap in fear and bite a baby or toddler on the face. A cat can inflict a nasty scratch or bite which may become infected. Children may think it's fun to tease your dog by offering food and then pulling it away. Visiting children may not know your dog will react negatively if his bed or food bowl is touched. Visitors may feed your dog cakes, salty snacks and the like. Several guests may think they are being generous and share their food with your dog who won't say no, but may eventually vomit. Others may not know dogs shouldn't be fed chocolate, grapes, macadamia nuts and all sorts of goodies. Unsuitable food may fall onto the floor and be gobbled up before you can intervene. You may be busy playing host or hostess and not be aware of what your dog has eaten. Visitors may leave the front door open, not realising your dog is going to take advantage of the opportunity to go exploring. With all the excitement, it could be some time before anyone realises Fido is missing. 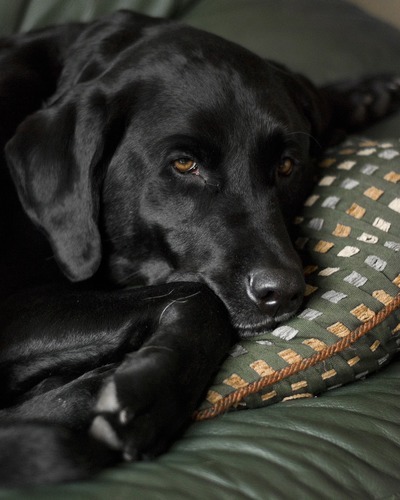 All the noise may upset your pets who then get snappy or try to escape. Visitors don't know your pet's likes and dislikes and funny little habits like you do. gets fed regularly. With all the excitement and change to routine this could be overlooked. does not have access to anything that could cause harm. Make sure all members of your family know what the plan is and who is taking responsibility for what so your pet enjoys Christmas too.